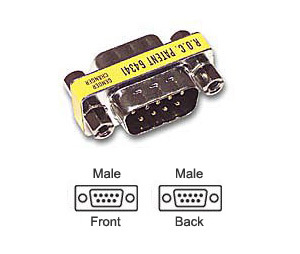 Low-profile Male/Male gender changer which changes a DB9-pin female connector to a DB9-pin male connector. It can be used with any serial device or cable with a standard DB9 connector. Its small size makes it a perfect adapter for most serial devices where space is limited.